Shaft deflection, shafts thermal expansion, warping of support plates, and wear of shaft bearings are few of the problems which enhances the difficulties of keeping the two shafts centered. The efficient solution to these kinds of problems is coupling. We, at Sinha Industries leveraing our years of experience and expertise, manufacture and supply industrial coupling suitable for virtually all bulk conveyor material handling equipments requirements. Industrial sectors such as coal mines, refineries, cement and power generation regularly use our manufactured couplings, which provide misalignment capability. 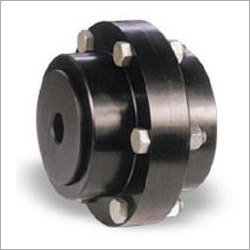 The strong and compact coupling pulleys are designed in a way to absorb shock and thus, extend equipment life. Additionally, these components are easy to maintain, reliable and temperature-resistant. We also manufacture air coupling, which is fabricated by our team of skilled engineers, who utilize the high grade raw materials and latest technology. We ensure our air coupling deliver optimum connector performance and tightness.